Acai (pronounced AH-sigh-EE) is a palm tree that can be found in South American and Central America. Countries such as Brazil and Belize are rich in acai. Other names for acai include acai extract, assai, assai palm, acai fruit, acai palm, cabbage palm, Euterpe oleracea, Amazon acai, Amazon acai berry, and of course, acai berry. According to the National Institutes of Health (NIH), acai contains chemicals that are antioxidants. Antioxidants are thought to protect body cells from the damaging effects of chemical reactions with oxygen (oxidation). According to some research, acai has more antioxidant content than cranberry, raspberry, blackberry, strawberry, or blueberry. Because the berries of the tree have such a high level of antioxidants, they are used to make medicine, supplements, powders, and drinks. The berries can be used in foods and they are also eaten whole. Many people use acai berry supplements to improve arthritis, lower cholesterol, and improve general health. They are also used to promote weight-loss and they are used in anti-aging creams, shampoos, and conditioners. There are few studies to support the benefits of acai berry, but studies do demonstrate the protective properties of antioxidants. So far, there are no studies to suggest that acai berry is dangerous. At the same time, there are no studies to support how it might interact with other supplements, herbs, or prescription medications. It is also unknown if acai berry supplements are safe for pregnant women. The issue is not acai berry, it’s the way it may be processed, the amount contained per capsule, if the supplements are made from pure acai, or if the supplements contain other substances or chemicals. Because of this, doctors recommend getting the antioxidants you need from food. If you prefer acai, it’s best to eat the berries raw or make your own homemade juice as most store bought juices contain loads of sugar or additives. The problem is, finding raw acai outside of South or Central America can be tricky. Use your favorite search engine to seek out importers. It might be expensive, but if you want to enjoy the benefits of raw acai berries, this is your best bet. Antioxidants can also be found in some meats, such as beef. 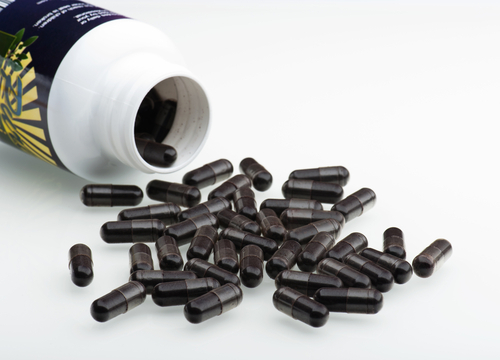 For more information about acai and other antioxidants, visit Medline Plus, a service of the U.S. National Library of Medicine National Institutes of Health. Are Vitamin B12 Supplements Safe? Vitamin B12 is a water-soluble vitamin that the body needs for proper red blood cell formation, DNA synthesis, and neurological function. B12 can be found in many foods and it may be added to others. It is available in supplement form in regular and prescription strength. 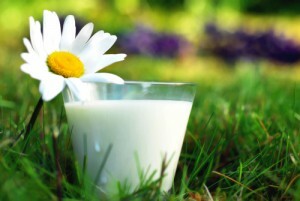 Foods that naturally contain vitamin B12 include liver, clams, trout, salmon, yogurt, tuna, milk, eggs, chicken, and ham. B12 is usually added to breakfast cereals, which provide 100 percent of the daily value. At 48 micrograms (mcg) and 34.2 mcg, respectively, liver and clams contain the highest amounts of vitamin B12, while chicken has the lowest at 0.3 mcg. Liver provides 800 percent of the daily value and clams provide 570 percent. Trout provides 90 percent and salmon provides 80 percent. It’s very easy to get enough B12 from diet alone because the recommended dietary allowances (RDAs) are so low. Individuals age 14 and older need only 2.4 mcg per day. Pregnant women need only 2.6 mcg and lactating women need 2.8 mcg. While vitamin B12 deficiency is unlikely, it is not impossible. B12 deficiencies may affect individuals with untreated anemia and the elderly because the body’s ability to absorb the vitamin decreases with age. 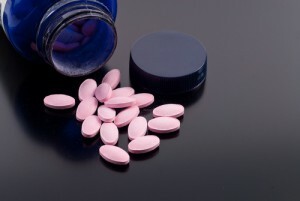 In these cases, B12 supplements may be prescribed in either regular or prescription strength. The strength and dosage will depend on the severity of the anemia other condition. Although it’s best to take vitamin B12 supplements under a doctor’s care, this vitamin is not dangerous. Even if taken in large amounts, a B12 overdose is highly unlikely. When taken orally, any B12 that cannot be absorbed is eliminated through the colon. If you think you might be at risk of vitamin B12 deficiency, contact your doctor to discuss your concerns. He will order certain lab tests that will help confirm a deficiency. Once confirmed, he may prescribe prescription strength B12 or a low dose vitamin B12 supplement that can beurchased at any vitamin emporium or drug store. For more information about vitamin B12 supplements, visit the Office of Dietary Supplements of the National Institutes of Health at http://ods.od.nih.gov/.